I recently sent out an email to my newsletter subscribers diving into my newest series (launching FRIDAY!). It was so succinct and perfectly tailored I decided instead of trying to replicate it or give unnecessary details, I would copy and paste it into a blog! Photos and all. I also thought this would be a great opportunity for you non-subscribers to kind of see what my emails are all about before you commit. And just so ya know, I only send 1-2 a week, besides you initial HELLO! 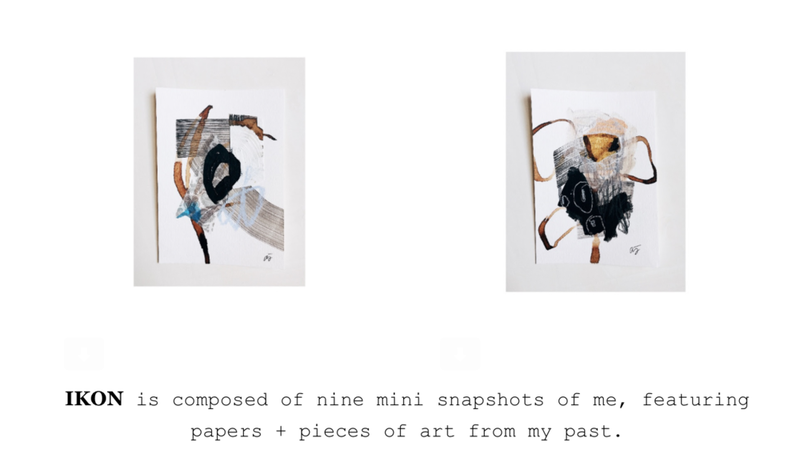 email and followup email, which dives into my studio practice. If you like what you see and want to know more about my rhyme + reason, click here to sign up! Enjoy reading this short and sweet post and make sure to check the shop March 9th for your IKON! Above: Featured piece from upcoming series, IKON. IKON #1, 2017. Mixed media on watercolor paper.